Chicken Satay is one of the most popular foods in Indonesia. Uniquely, you need to come at night in Indonesia to eat Chicken Satay. 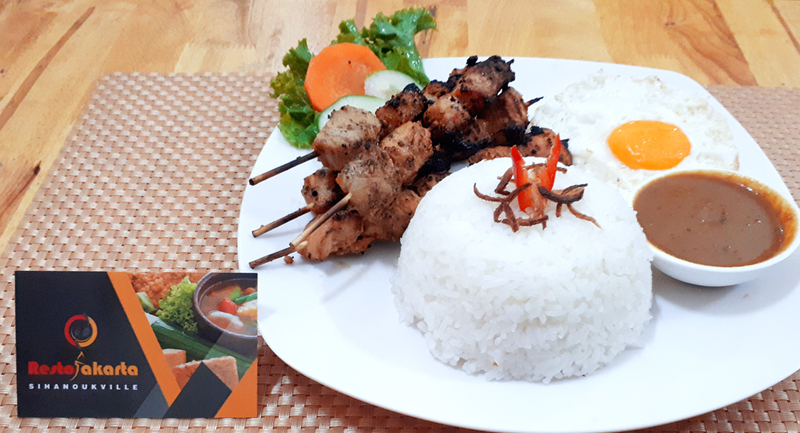 In Resto Jakarta, Chicken Satay is combined with Peanut Sauce, so you can taste salty and savory from Chicken Satay and sweet from Peanut Sauce. Chicken Satay Peanut Sauce is a suitable food to accompany your dinner.